Dr. Kemmet has treated many guests with Invisalign. She has completed over 700 individual cases of invisible braces in Boulder since becoming certified in 2004. 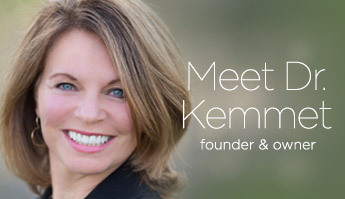 Dr. Kemmet is one of twelve Premier Providers of Invisalign in Colorado – this means she has achieved an exceptional level of expertise and is recognized by Invisalign with a “Premier” designation. Her guests are looking for individualized amazing final results. At the completion of every treatment Dr. Kemmet takes additional steps to tie it all together. This final touch may involve reshaping the teeth and/or tissue, bonding, veneers, etc. to create that Incredible Smile! What do invisible braces look like? Everyone wants to know what these really look like. This is Jen with invisible braces in her mouth. Nearly everyone comments that they think their teeth look shiny! It’s true! These are before and after photos of Anita and Sesial. Your results may vary from those shown here. Sesial’s took just over a year. 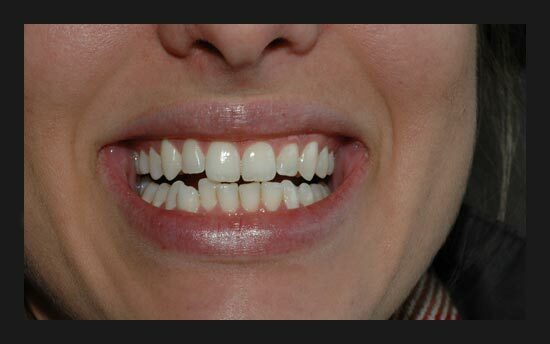 Anita had her invisible braces in for just under a year. Both had amazing results! Clear orthodontics have helped us to transform the way we straighten teeth and improve smiles. Dr. Kemmet and her team utilize Invisalign’s medical imaging technology to manufacture clear aligners that rapidly straighten teeth. For many of our guests, Invisalign has become the first healthy step to an Incredible Smile. For some, it is the primary solution. Dr. Kemmet, an Invisalign Boulder provider, has personally benefited from the use of clear aligners to straighten her own teeth. Using a precise 3 dimensional analysis of your teeth and adjacent tissue, Invisalign will custom craft aligners to fit the unique structure of your mouth and jaw. Each aligner is worn for about two weeks and can be removed to eat, brush, floss, and for brief special occasions. During wear, your teeth are gently moved to their ideal position. The length of the process depends on your specific situation and desired results. Dr. Kemmet, an Invisalign Denver provider, offers complimentary consultations to determine timing for each customized invisible braces process. Fast – treatment time is comparable and in many cases less than that of traditional braces. An average course of treatment takes about 5 months to one year. Does insurance cover Invisible Braces? Why should I choose Dr. Kemmet for my Orthodontic treatment? Clear braces or Invisible braces are the advanced way to straighten teeth and improve smiles. Using the latest medical imaging technologies, Invisalign manufacters precision polymer aligners that rapidly straighten teeth. Using a precise 3-dimensional analysis of your teeth and adjacent tissue, aligners are crafted personally for our guests. Each aligner is worn for approximately two to three weeks, and can be removed to eat, brush and floss. During wear, the teeth are gently moved to their ideal position. The length of the process depends on the specific situation and the results each person wants to achieve. Are clear – aligners are virtually invisable. Stay clear – aligners do not “cloud” during treatment. Are hygienic – aligners are easy to clean. Are comfortable – revolutionary manufacturing process ensures a precise, accurate fit. If you have dental insurance that covers orthodontic treatment, you should qualify. Many companies allow pre-tax contributions to be set aside in a Flexible Spending Account (FSA). Orthodontic treatment is considered a qualified treatment that can be reimbursed using your FSA. Many doctors also offer flexible and affordable in-house payment plans. Dr. Kemmet has had extensive training in the art and science of occlusion. Occlusion is the relation between the upper and lower teeth when the jaw is closed and their surfaces come in contact. Orthodontics is not just about creating straight teeth; it is also about establishing a healthy, long-lasting biting position for the teeth. Crooked teeth often result in excessive wear to teeth that can result in a variety of long-term problems. Dr. Kemmet understands the importance of function and aesthetics. 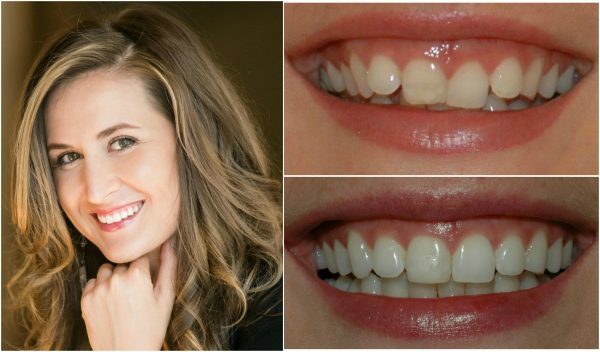 In addition, many people choose Dr. Kemmet for teeth straightening prior to proceeding with cosmetic veneers. Her ability to establish proper bite positioning before making the final cosmetic enhancement significantly improves one’s chances of achieving the most natural looking, long lasting results. When it comes to adult orthodontics Dr. Kemmet and her team can picture the end result. We like to be honest about the probable outcome with orthodontics. 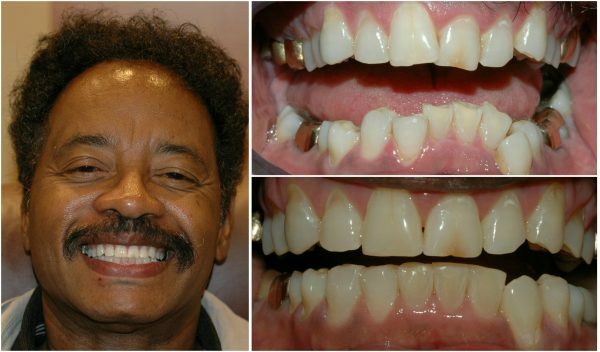 Occasionally the desired outcome is not achievable with orthodontics alone. Dr. Kemmet will often recontour teeth, whiten, place a few veneers or use bonding to create the optimal end result. These added services are best completed with a dentist who is skilled in cosmetic treatment. Free Consultation For Invisible & Clear Aligner Orthodontic Services.